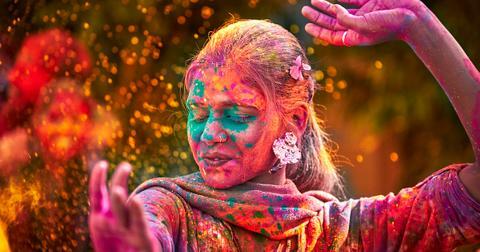 If you want to celebrate the ancient Indian spring festival known as Holi, you won't have to travel far. 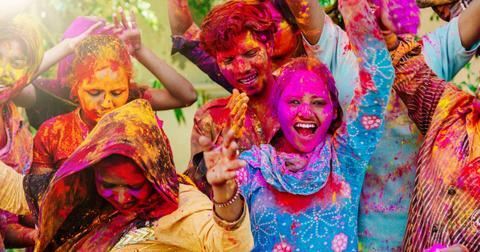 There are Festivals of Colors in major cities from coast to coast — including New York, Los Angeles, Dallas, and Seattle — that welcome everyone to come together to get covered in bright colors and enjoy traditional Indian food and culture. The first night of the celebration is known as Holika Dahan and the following day is known as Holi, which signifies the start of spring and the end of winter. 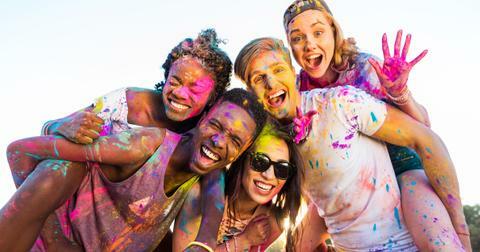 Pro tip: wear white and make sure to cover your personal belongings such as your phone and wallet before taking part in a color fight. Taking place on two Saturdays, March 23 and March 30, NYC will be hosting Holi in the City, the biggest festival of colors party. The event will be taking place at Stage48, and participants are encouraged to wear white. 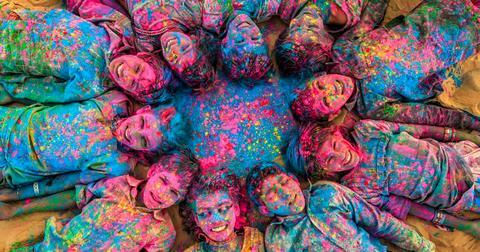 "The colored powders used in Holi represent happiness, love, and the freedom to live vibrantly," the event description read. 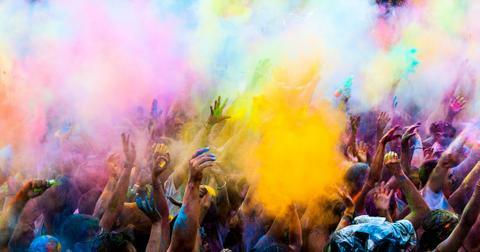 "Take the opportunity to cover yourself and your friends in colorful powders and dance your heart out." 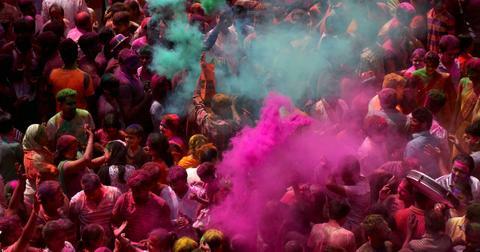 There are two major Holi celebrations taking place in the Windy City. The first is hosted by the Hindu Temple of Greater Chicago on Saturday, March 23 at 5:30 p.m. and free for everyone. 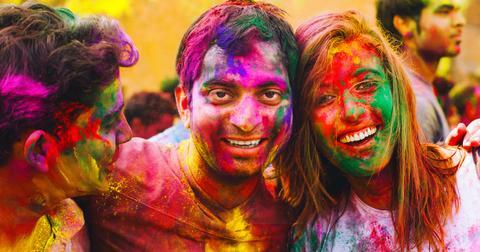 Holi enthusiasts can also stop by the Navy Pier for Global Connections: Holi. 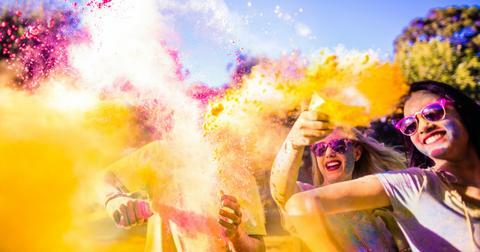 Color throwing will take place between 1 p.m. and 4 p.m. and will be followed by musical and dance performances. 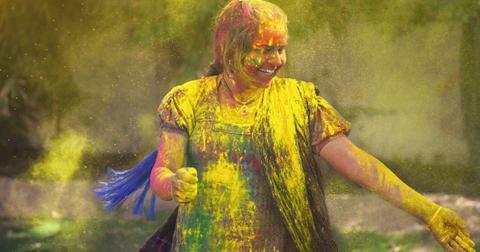 The nation's capital will also be celebrating the festival of colors, with a few events. There will be a celebration on Saturday, March 23, at Karma D.C., with the color party kicking off at 8 p.m. 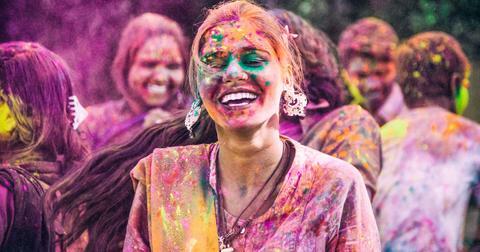 The 10th Annual Holi Festival will be taking place a few weeks later on April 27 at Gallaudet University. On Sunday, March 24, the Festival of India Association will be hosting Holi 2019 — The Festival of Colors & Friendship at Woodley Park. The event will include Bollywood performances, food vendors, and music by DJ Scorpio. The Rajasthan Association of North America will be hosting the Rana Holi Hungama 2019 on Sunday, March 30 in Mission Park. The event will run from 11 a.m. to 3 p.m. and tickets range from $16 to $20 for members and non-members. The Festival of Colors known as Dallas Holifest in the Texas city will take place on Saturday, March 23, between 12 p.m. and 5 p.m. at the Allen Eagle Stadium Parking Lot. The celebration is free and will also feature an International Marketplace & Bazaar. 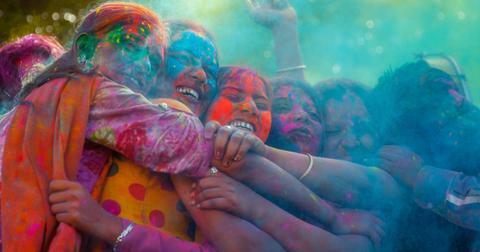 Houston Holi celebrates the Indian Festival of Colors in Spring on Saturday, March 23 at The Crown Festival Park at Sugar Land. The celebration will also include a live concert from Mickey Singh and Indian street foods, and carnival rides for kids. 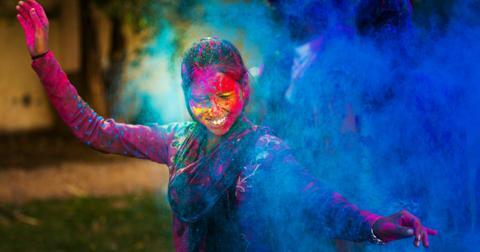 Modern Indian bistro Veda will be hosting an adult-only Holi Glow Party on Thursday, March 21 from 9 p.m. to midnight. For fun for all ages, Philadelphia residents can head to the Palace of Asia on March 31 for an outdoor Holi party that will take place rain or shine. The Children's Museum of Atlanta will be hosting a Holi celebration for the kids on Saturday, March 23, complete with a puppet show. 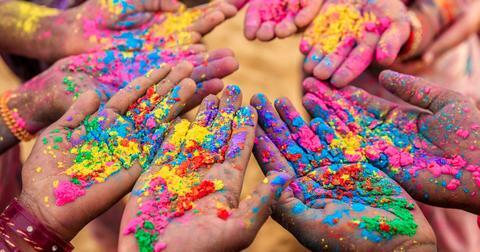 For a more grown up Festival of Colors, head to the Gujarati Samaj of Atlanta, where the celebration will run from Wednesday, March 20 at 5:30 p.m. to 8 a.m. Thursday morning. Boston's Festival of Colors takes place over three days with the event kicking off with Holi Poornima Samuhik Satyanarayan Pooja on March 21 and ending with Holika Dahan on Saturday, March 23 at Shri Dwarkamai Vidyapeeth. Holi in Detroit is set to take place on April 16 and will be hosted by the South Asian Student Association at Saginaw Valley State University. On Saturday, March 23, Seattle residents can take part in the color throwing at the Holi celebration at the Phinney Center lower parking lot. Tickets range from $10 to $12. 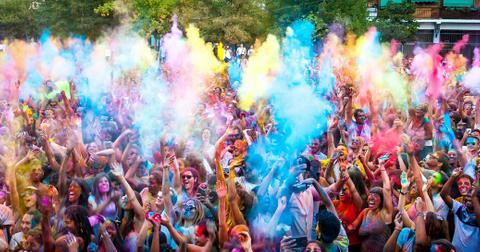 Head to Larry and Penny Park on Sunday, March 24 for Miami Holi, which runs from 12 p.m. to 6 p.m. There will also be another Holi celebration at CB Smith Park hosted by the IRCC (Indian Regional and Cultural Center). That event runs from 11 a.m. to 4 p.m. and ranges in price from $15 to $20.